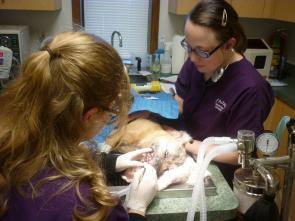 The most common health problems diagnosed in dogs and cats is periodontal disease. Bacteria lives in plaque and accumulated tartar and can put stress on your pet's immune system. Dental disease can lead to liver, kidney and heart disease. We can provide extensive dental care. 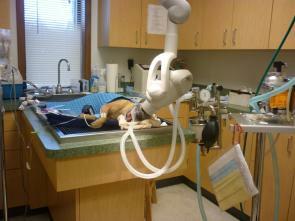 We have a dental x-ray machine specifically calibrated for pets. We have specialized equipment designed for scaling the teeth above and below the gum line and for polishing the tooth enamel. 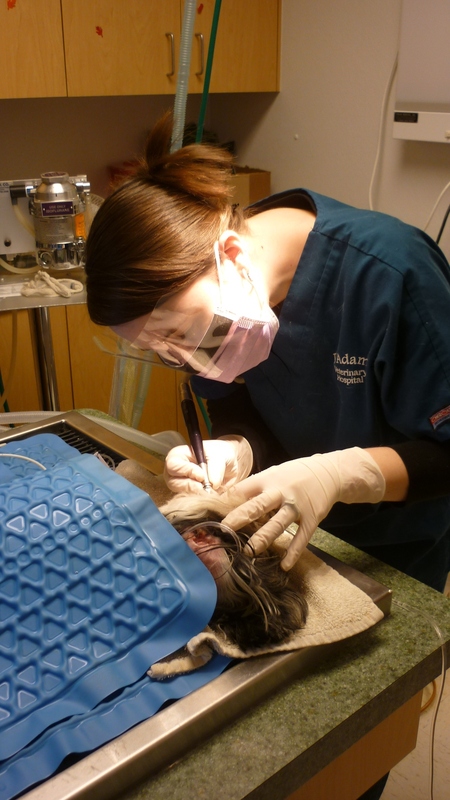 When cleaning and polishing are not sufficient to improve the health of your pet's mouth, we are trained in nerve blocks and extractions for advanced dental disease. Brushing your pet's teeth is ideal to maintain the health of your pet's mouth. There are many treats and products on the market to help maintain your pets mouth. Look for products that have the Veterinary Oral Health Council (VOHC) Seal of Acceptance. Avoid any product that contains Xylitol (one type of artificial sweetener) because it can be toxic to pets. For more information please visit Veterinary Oral Health Council.